Time to get your game face on and level up your academic skills! Throughout your time at University, you are required to develop a whole range of important academic skills, from knowing where to find information to critical thinking to reference management. These skills are not only important for completing your degree successfully but they can also be transferred to the work you do once you leave the University, making them invaluable for your future career. 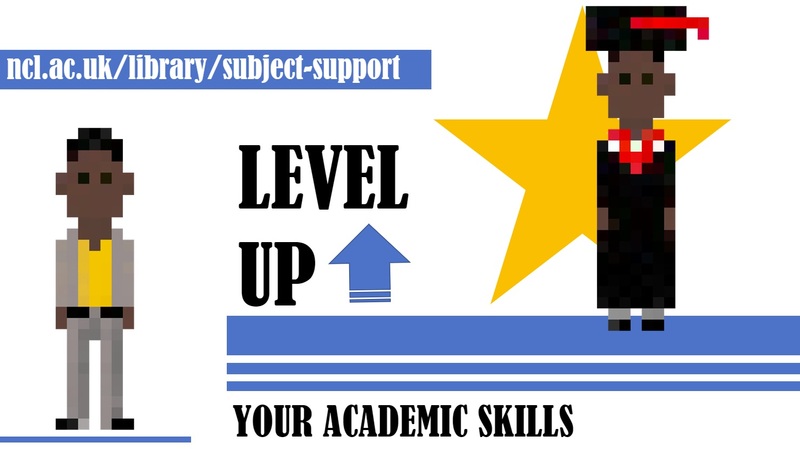 Developing some of these skills may seem daunting but the Library is here to support you at every level of study with our range of online tools, videos and guides as well as one-to-one support from your Subject Liaison team and staff at the Writing and Development Centre. This month we’re inviting you on a study quest to explore our guides and tools and gain some serious Study XP (experience points). To get started take a look at your Subject guide for advice on finding information in your area or see our Employability guide to explore how these skills can help in your future career. From 11 – 24 March 2019 visit our display in the Library to chat to our helpful staff, pick up postcards, guides and fun freebies, and if you feel up for a challenge, take on our exciting mini escape room game (more details to follow)! We have reactivated this trial and now have access to this collection until 5th April 2019. This curated, thematically-organized, and curriculum-driven collection offers students and scholars a new way to examine how revolutions, protests, resistance, and social movements have shaped and transformed the human experience globally from the 18th to 21st century. To access the collection, click on the link here . 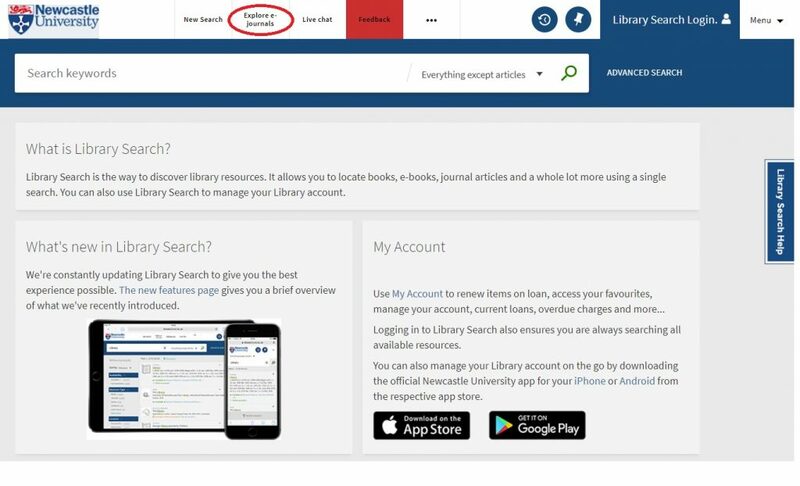 If you are off-campus, click ‘Log In’ and type in Newcastle for the institution name. You will see the university name so click on that and you’ll be taken to the NU log in page. You can also access via RAS if off campus. The trial ends on 5th April. Please explore and email us your feedback, or post it as a comment on this blog. The future of the job market – and it’s inherent uncertainty – has been receiving a lot of attention in the international press in recent years, with Universities UK analysis predicting “65% of children entering primary schools today will work in jobs and functions that don’t currently exist.” In previous generations, new graduates could expect to work with the same company for several years, steadily climbing the corporate ladder in a predictable, but reassuring linear way. In the 21st century however, the face of the job market is changing, and once you graduate, you may find yourself looking at a “portfolio career” over traditional career progression – something Facebook COO Sheryl Sandberg described as more akin to a career “jungle gym” than a career ladder. But what does all this talk of truck-driving and emergent markets mean for you, the UK Graduate? Well, if the gig economy becomes the norm in the next 10 years, one of the key challenges for new graduates will be the perpetual need to upskill yourself, and market your own skill base to different employers. This puts the spotlight on what have traditionally been referred to as “soft” transferable skills that are required across many different roles and sectors – skills such as resilience, team-working and critical thinking. Here at the Library, we’d argue that information and digital literacy falls under this bracket (well of course we would, we’re librarians!). The ability to find and use information and make considered use of digital tools is an important capability in any graduate job. Don’t just take our word for it – we spoke to several students returning from placement who told us their information skills had helped them get ahead. Did you even know they existed? Possibly not. Depending upon your source, “black literature” can be defined as books and peer-reviewed published journals. This is the familiar material you will source and use through your University Library and its catalogue. Grey literature is something else entirely. Grey literature is research or material that is not produced by commercial publishers. It may be wholly unpublished or published in a non-commercial form. Think along the lines of industry-related materials, academic publications, government publications and think tank papers. GreyNet, the Grey Literature Network Service has more detailed information on this vital research resource. 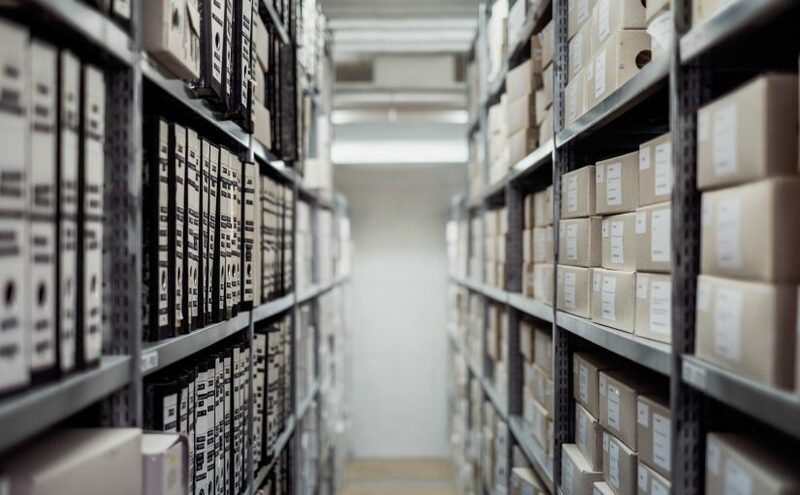 Most databases, available via your Subject Guide, will allow you to limit your search by document type, including grey literature, which does improve accessibility to this type of material. Operated by Bielefeld University Library this search engine indexes open access academic literature. The Advanced Search option allows you to search for specific types of grey literature. The Institute of Education Digital Education (University of London) Resource Archive (DERA) is a digital archive of all documents published electronically by government and related bodies in the area of education. The System for Information on Grey Literature in Europe provides open access to over 700,000 bibliographical references. Provides access to all 3,530 globally-acclaimed instructional videos produced in 2008 by the United Kingdom’s Department of Education to train and develop teachers’ skills through demonstrations and commentary by teachers, administrators, and other educational experts. Newcastle University theses are available in the eTheses Repository. Other UK theses may be available via EThOS. There is not one single source for locating non-UK theses. The Guide will give you some starting points. UK Legislation is freely available online but be aware there may be delays of up to 2 weeks before any updates appear. Use your subscribed databases available via the Law Subject Guide. Once you have located your grey literature, do question it using the CRAAP test – currency, relevance, authority, accuracy, purpose. Consider what is publicly available versus a subscribed (or paid for) resource. It may be biased and you should include that assessment in your work. And finally, don’t forget, not everything is available online! Society Digimap is free on trial until 31st July 2019. 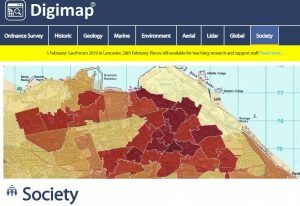 Adding to our existing EDINA collection, Society Digimap includes census and socio-economic data which can be layered across the map software to provide a picture and give an insight of society in a given area. To access this resource, click on the link to the Digimap collection via Library Search or our Maps library guide, log in with your university account and click on the Society tab to access the data. You will need to accept the license agreement the first time you use it. Please explore and email us your feedback, or post it as a comment on this blog. Where ever in the World you are from, you are now part of the Newcastle University family. This means you have access to four libraries with amazing online/print resources and of course….helpful library staff. Now you are living and studying in Newcastle you will often hear the Geordie accent. It’s not always the easiest to understand! Do you know your Geordie phrases? There is a handy guide to help you become familiar with some of our more colourful phrases. Why not follow this link to understand our local dialect. 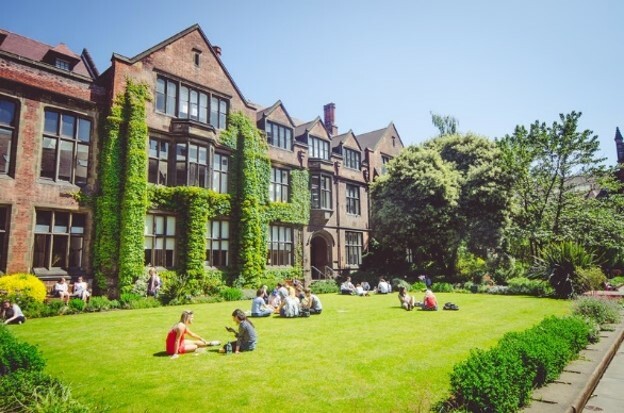 Our INTO Student Guide will help you get started with the skills and resources you need to study at Newcastle University. 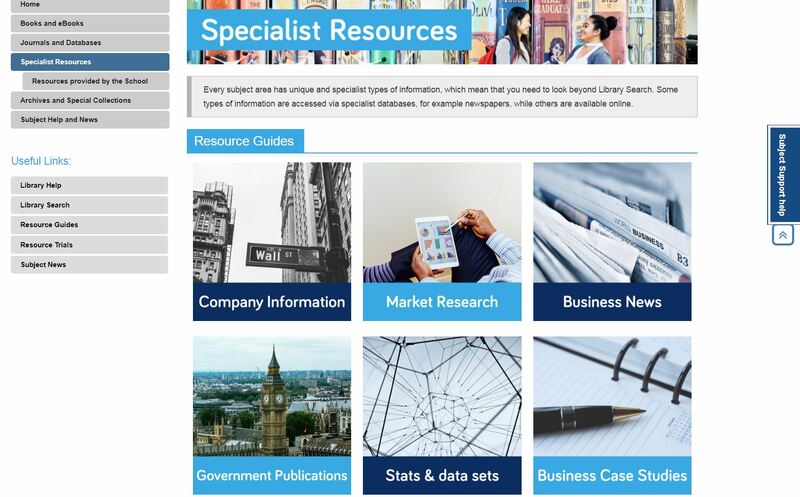 Explore essential library resources, including books, ebooks and journal articles and find your way to the best specialist resources for your chosen subject area. Are you ready to search for information? Have a look at this library video to help you find the best resources to use for your academic work. Correctly referencing the information you use and concerns about plagiarism are common for many students. Visit our Library Managing Information guide to find tips and advice for your referencing. The University has a subscription for the referencing software EndNote. You’ll find information about EndNote and teach yourself resources on our EndNote Library guide if you anted to give it a try yourself. ASK: Academic Skills Kit. Visit the University’s suite of online resources designed to develop your academic skills. Please remember we are here to help you and you can contact us at any time, day and night, via Libraryhelp. Beyond the University, there are some great local libraries which you can visit and use for free. Find out about other libraries in the area by visiting the Library website. Not sure which journal article you’re looking for? Do it the ‘old school’ way and browse through your favourite journals using BrowZine without having to trek to the library or newsagents to flick through the magazines. 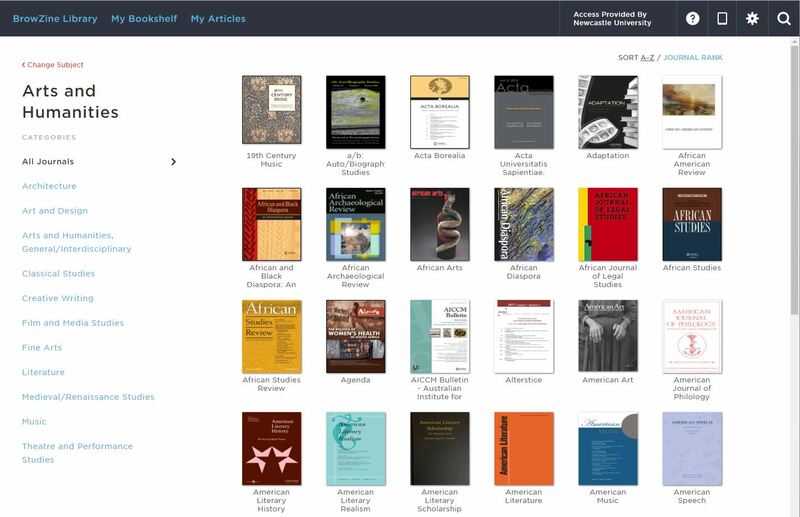 BrowZine is a publisher-neutral reading and discovery platform for eJournals. You can browse complete issues, set up a personal bookshelf of your favourite titles and receive notifications when new issues are released. You can do this on your PC via Library Search or perhaps you prefer using your smartphone? 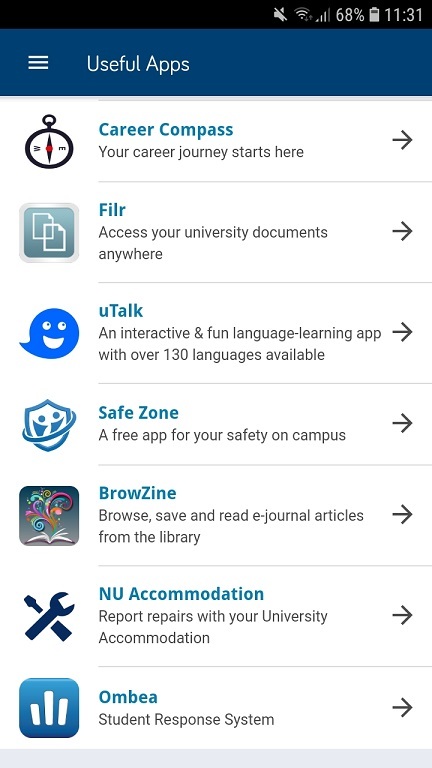 Access BrowZine via the University App or download the BrowZine App from the Apple Store or Play Store. 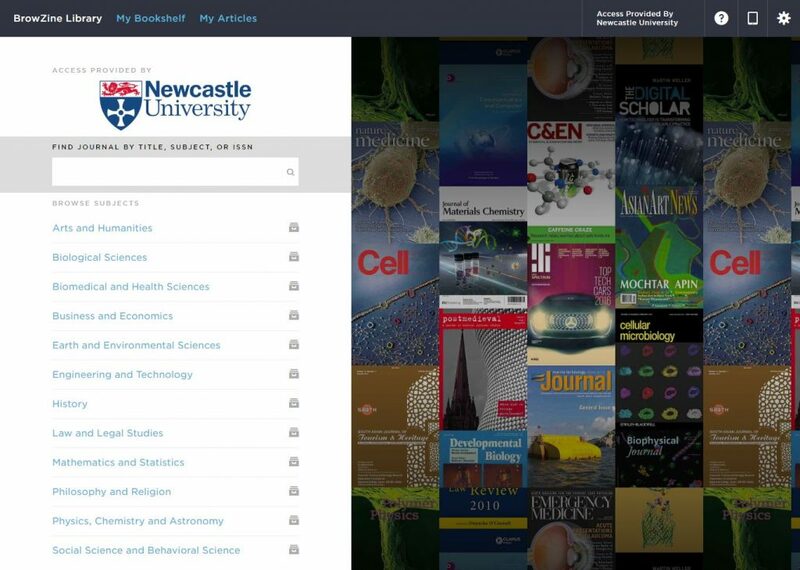 Set up your personal account using your University email address and BrowZine will always recognise you as a member of Newcastle University and give you access to the full-text articles it contains. We have a service called “Books on Time” for students. 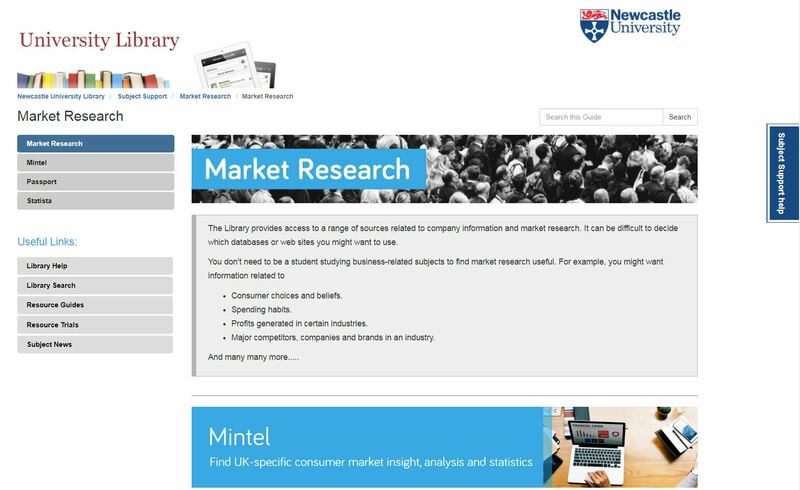 This allows you to tell us about the books you need for your studies. If we don’t have the books you need, simply complete the web form and we’ll see if we can buy them. For books we already have in stock, if they are out on loan please make a reservation/hold request using Library Search. In Semester one, academic year 2018/2019 we bought the following items after requests from students in GPS.